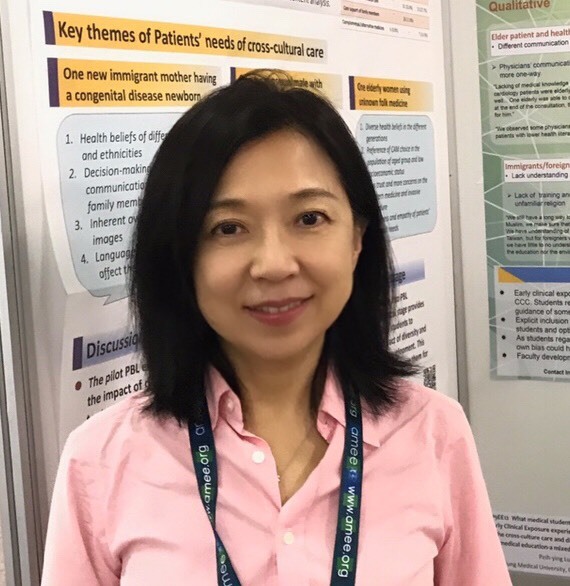 Professor Peih-ying Lu, PhD is Dean of the College of Humanities and Social Sciences, and Head of the Department of Medical Humanities and Education at the College of Medicine at Kaohsiung Medical University (KMU), Taiwan. She has also been an honorary research fellow of Glasgow University and was a visiting Fulbright scholar at Harvard Medical School in 2013. She is presently a member of the Taiwan Medical Accreditation Council (TMAC) and has served as an assessor for TMAC since 2015. Professor Lu holds an M.A. in English and American Literature from the University of North Carolina at Chapel Hill and a PhD in English (School of Critical Studies, University of Glasgow), specialising in intercultural education and cultural studies. She has worked in the medical humanities, intercultural language education and curriculum design for the past decade and published in the field of medical education, focusing specifically on cultural competence, the role of the humanities in healthcare, intercultural language education to medical students, medical professionalism, and course design. She is dedicated to the pursuit of excellence in education, and has won several teaching awards and a major research award in medical education. As Director of International Affairs she was also responsible for promoting the internationalisation of the College of Medicine and she established a number of agreements and collaborations with medical schools in other countries. In her role with TMAC, she has investigated the medical humanities at different stages of medical education programs, general education, medical professionalism, course design, assessment, as well as faculty development.